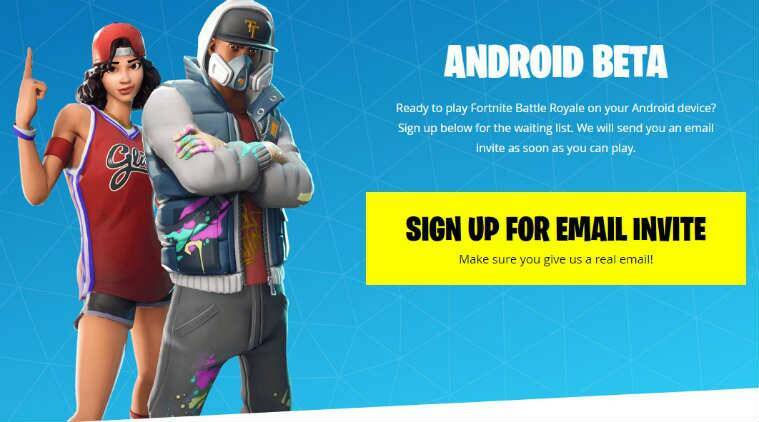 Samsung’s Unpacked event in New York, which saw the company launch the Galaxy Note 9, among other devices, also saw the first official mention of Fortnite for Android. Samsung’s Unpacked event in New York, which saw the company launch the Galaxy Note 9, among other devices, also saw the first official mention of Fortnite for Android. The popular smartphone game’s beta version will debut on Android via Samsung devices, which besides the Note 9, include the Galaxy S9/S9+, Note 9, Galaxy S8/S8+, Galaxy S7, Galaxy S7 edge and Galaxy Tab S3. The Fortnite for Android beta will be available both on Samsung’s Game Launcher app, and on the installer page of game studio Epic. Samsung has offered gaming benefits for those who pre-order the Galaxy Note 9 in the US and Fortnite will remain exclusive to Samsung phones for 48 hours, before it rolls out to other Android devices. Those pre-ordering the phone will receive gaming currency of 15,000 V-bucks, as well as the Fortnite Galaxy skin. This, of course, will lay into the exclusivity of the game on Android. Smartphone gamers, though, should check the list of compatible devices set by Epic from their website’s FAQ section. The Verge has reported, quoting an executive from Epic, that Fortnite will bypass Google Play Store, and Android gamers will have to download the game through a separate launcher. Essentially, the independent launcher will allow Fortnite creators Epic to avoid paying a 30 per cent fee to Google from all in-app purchases. Fortnite, in the meantime, has been available to gamers across PC, XBox One, PlayStation 4, Nintendo Switch as well as on iOS. With the full rollout of the game yet to come, it remains to be seen if this multi-player game picks up on Android as well.